Be So Fresh Yarn is a sport weight, wet spun, flax linen. It is sold in 4oz hanks of 300 yards each, and wound into a center pull ball at no additional charge. 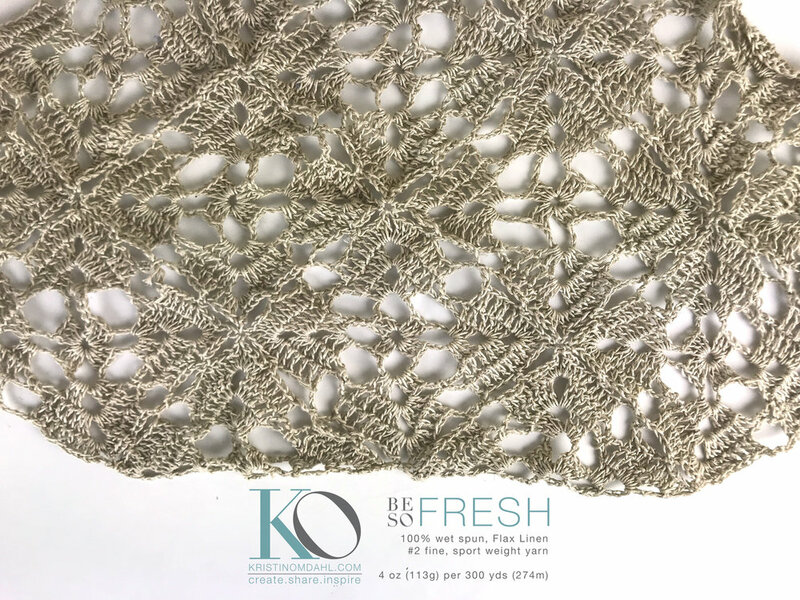 Be So Fresh Yarn is sold in 3 colors: a neutral Sand Dollar, a crisp Foam and a saturated Night. Historically, linen is one of the first fibers that people made into string and cloth. Linen derives from the flax plant, which originated in the Mediterranean 'Fertile Crescent" part of the world. Flax is a tall, reed-like plant, with long fibers, which makes it easy to spin. Linen yarn is made from the cellulose fibers that grow inside of the stalks of the flax plant, one of the oldest cultivated plants in human history. Cultivating plants is what helped humans evolve from hunters and gatherers to farmers. 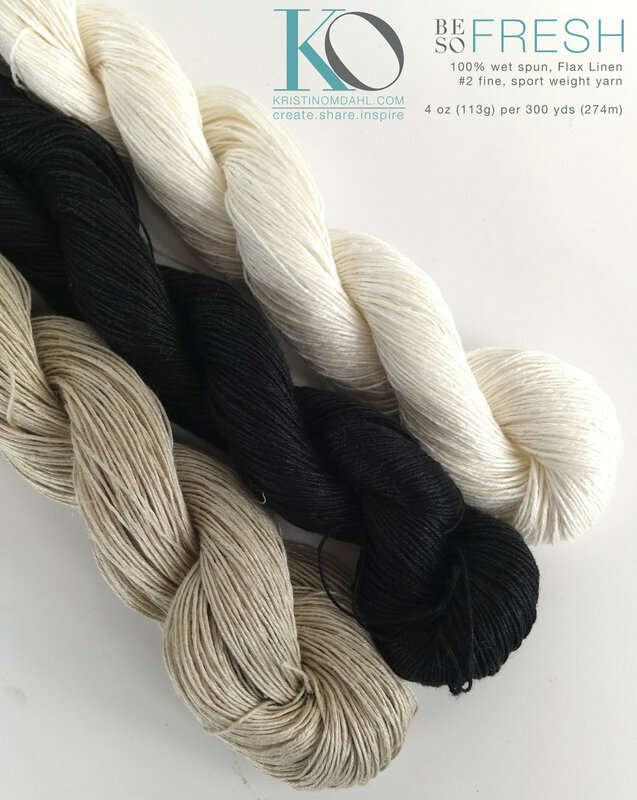 As with all of Kristin Omdahl Yarns, a portion of every sale supports Project Kristin Cares, a charity dedicated to helping survivors of domestic violence.